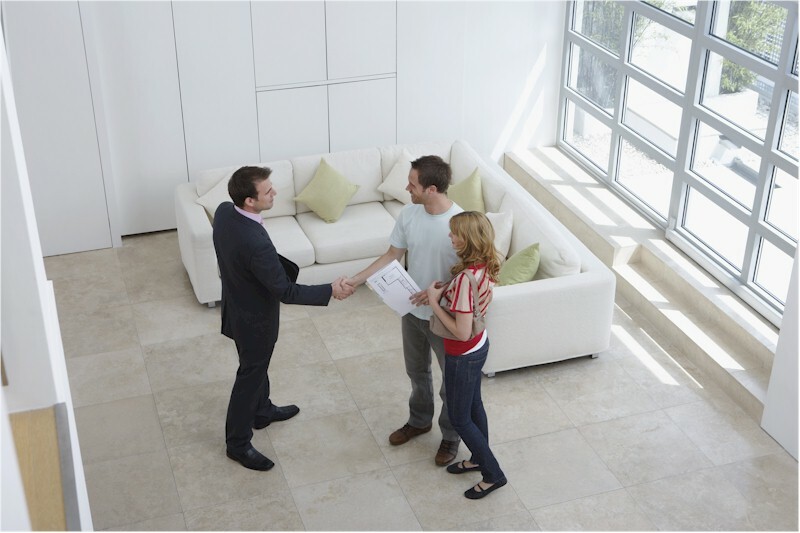 83% of agents are forgotten by clients when it's time to list their homes. More than ever, you need to stay in constant contact with clients to assure they remember you. ePropertyWatch is the home and neighborhood information email and web service that YOU sponsor. With over 50% open rates, ePropertyWatch is one of the most engaging ways possible to stay in front of clients for years. Never be forgotten again. 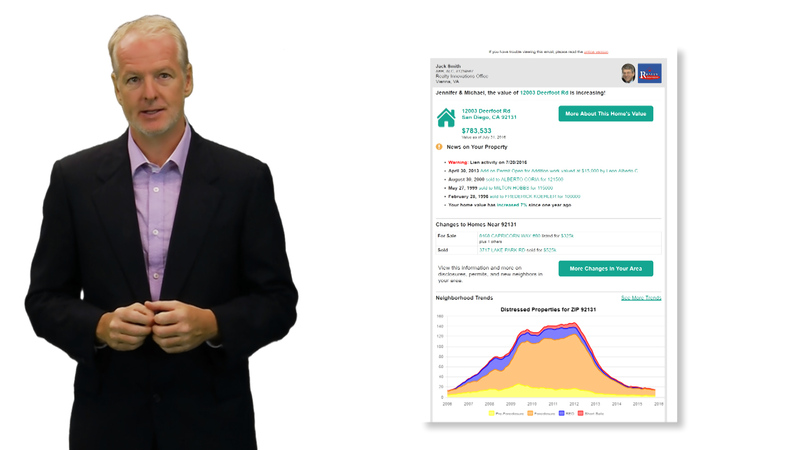 Why do agents love ePropertyWatch? You sponsor ePropertyWatch. And with over 50% open rates, ePropetyWatch emails will help your clients remember your name for years to come. 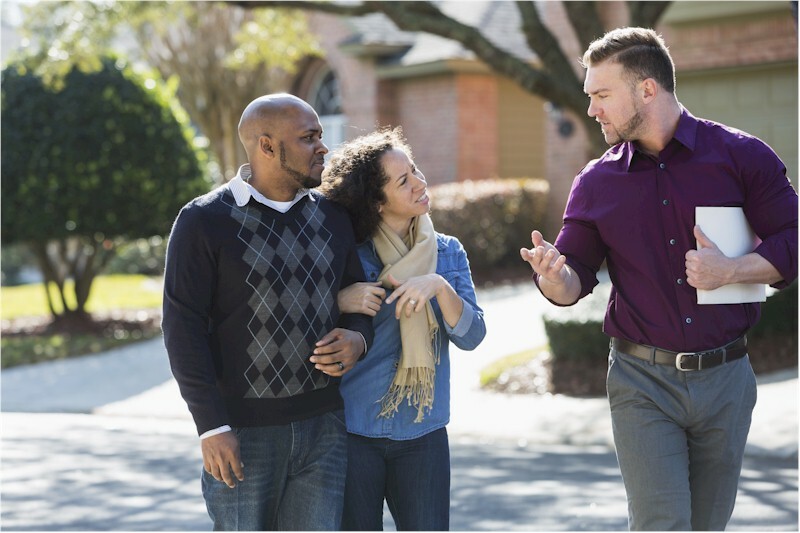 Instead of your clients visiting national real estate websites to find information about their homes and neighborhoods, you send it to them every month. 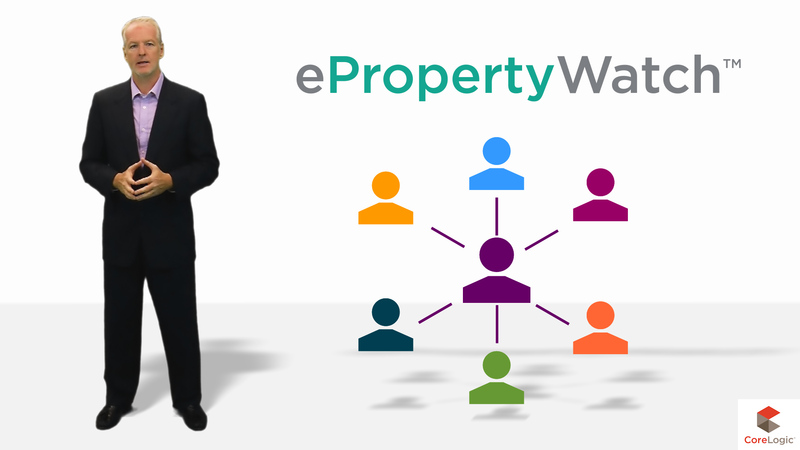 ePropertyWatch isn't just for current clients - you'll generate new leads too. Just sign up the prospects you meet at open houses and other events to start promoting yourself as the local real estate expert. ePropertyWatch lets you "set it and forget it." You load email and property addresses once - we take care of the rest, every month, with no hassle. It's the perfect way to reach clients. Enroll up to 2,500 clients - no one else sees or shares these contacts. Upload your photo and contact info - create custom branding for all emails and web pages. Simple client enrollment - auto-import your contact list if using CoreLogic systems (Matrix, AgentAchieve), or upload via Excel or simply type in addresses. Auto email service - Fully automated emails directly from CoreLogic to your clients. 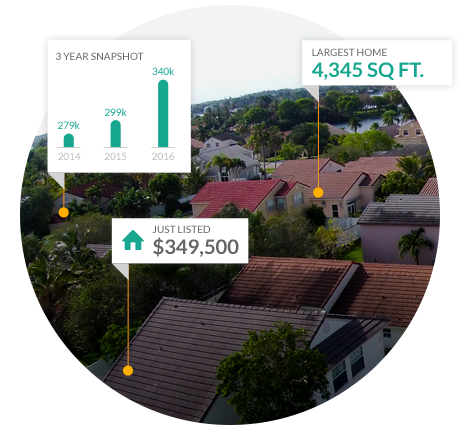 Online web pages - your clients see up-to-date information about their homes and neighborhoods online. Website widget - drop on your website and visitors enroll themselves automatically. Monitoring - see who is using ePropertyWatch and staying engaged with you. Convenient billing - credit card billing for easy renewal. Whether a single agent or managing a small team, you'll find a flavor of ePropertyWatch right for you. Try it for free! We won’t ask for your credit card until you’ve had a chance to see if ePropertyWatch works for you. Then we’ll bill you monthly. And, if your MLS sponsors ePropertyWatch, you'll receive a monthly discount too. (My MLS not in list) AL .. (LCAR): Lee County Association of Realtors AL .. (MAAOR): Montgomery Area Association of REALTORS AR .. (ARKMLS): Arkansas Regional Multiple Listing Service, Inc. AR .. (FSM): Fort Smith Board of REALTORS®, Inc. AZ .. (WARDEX): Western Arizona Realtors Data Exchange CA .. (BAREIS): Bay Area Real Estate Information System CA .. (CADESERT): California Desert Association of Realtors CA .. (CCR): Calaveras County Association of REALTORS, Inc. CA .. (FRESNO): Fresno Association of Realtors CA .. (MAXE): East Bay Regional CA .. (MLSLISTINGS): MLSListings, Inc. CA .. (CRMLS): California Regional Multiple Listing Service, Inc. CA .. (SFAR): San Francisco Association of Realtors CA .. (TCAR): Tuolumne County Association of Realtors CO .. (IRES): IRES MLS CO .. (REcolorado): REcolorado CO .. (PPMLS): Pikes Peak Association of Realtors CO .. (SUMMIT): Summit MLS, Inc. CT .. (SMART): Connecticut Statewide MLS FL .. (BEACHES): Beaches FL .. (RACC): Realtors Association of Citrus County, Inc FL .. (DAYTONA): Daytona Area Board of REALTORS® FL .. (FLAGLER): Flagler County Association of Realtors FL .. (RAPB+GFLR): REALTOR® Association of the Palm Beaches/Greater Fort Lauderdale REALTORS® FL .. (MFRMLS): My Florida Regional Multiple Listing Service, Inc. FL .. (MIAAR): Marco Multi List, Inc. FL .. (RAIRC): REALTORS Association of Indian River County, Inc. FL .. (MCRTC): Realtor Association of Martin County FL .. (SANIBEL+CAPTIVA): Sanibel and Captiva Island Association of REALTORS®, Inc. FL .. (MIAMI): Miami Association of REALTORS® FL .. (SBBOR): South Broward Board of REALTORS® FL .. (SWFL): SW Florida Regional GA .. (GOLDEN_ISLE): Golden Isle GA .. (SAV): Savannah Multi-List Corporation IL .. (CAMIS): Capital Area MLS Information System IL .. (Decatur+Central): Central Illinois Board of Realtors (DECATUR5) IL .. (Decatur+Central): Central Illinois Board of Realtors (DECATUR5) KS .. (HEART): Heartland Multiple Listing Service, Inc. LA .. (NOMAR): Gulf South Real Estate Information Network, Inc. MD .. (BRIGHT): Bright MLS MD .. (MAY): Cape May County Association of Realtors MD .. (MRIS): Metropolitan Regional Information Systems MO .. (LOO): The Lake Of The Ozarks Board and Bagnell Dam Assoc. of REALTORS MO .. (MARIS): Mid America Regional Information Systems MT .. (BSC): Big Sky Country MLS NC .. (BURLNC): Burlington-Alamance County Association of Realtors, Inc. NC .. (LLP): Fayetteville Regional Association of REALTORS, Inc. NC .. (MCRAR): Mid Carolina Regional Association of REALTORS NC .. (TRIAD): TRIAD MLS (Greensboro/ Winston-Salem/ High Point) NC .. (WNC): North Carolina Mountains MLS NJ .. (GSMLS): Garden State MLS NJ .. (OCB): Ocean County Board of REALTORS NJ .. (CJMLS): Central Jersey MLS NJ .. (SJSRMLS): South Jersey Shore Regional MLS NV .. (GLVAR): Greater Las Vegas Association of Realtors NV .. (NNRMLS): Northern Nevada Regional Multiple Listing Service NV .. (STAR): South Tahoe Association of Realtors NY .. (BROOKLYN): Brooklyn New York Multiple Listing Service, Inc. NY .. (HGMLS): Hudson Gateway Multiple Listing Service, Inc. NY .. (NYSAMLS): New York State Alliance of Multiple Listing Services NY .. (WCAR): Warren County Association of Realtors OH .. (CR): MLS of Columbus REALTORS OH .. (NORIS): Northwest Ohio Real Estate Information Systems, Inc. (Toledo) OH .. (WRIST): Western Regional Information Systems and Technology, Inc. OH .. (YES): Yes MLS, Inc. OK .. (OKC): MLS of Oklahoma City PA .. (CAMB): Cambria Somerset Association of Realtors PA .. (PLUMAS_II): West Penn Multi-List, Inc. PA .. (WESTPENN): The Delaware Valley Real Estate Network, Inc. (TREND) SC .. (HiltonHead): MLS of Hilton Head, Inc SC .. (WUPSAR): Western Upstate TN .. (RCMLS): River Counties Multiple Listings Service TX .. (ACTRIS): Austin/Central Texas Realty Information Service TX .. (CTXMLS): Central Texas MLS TX .. (GEP): Greater El Paso Association of REALTORS® Multiple Listing Service US .. (NOMLS): No MLS Data Available VA .. (CVR): Central Virginia Regional MLS, LLC WI .. (RANWW): REALTORS® Association of Northwestern Wisconsin, Inc. Thank you for registering. Please check your email and confirm your registration. © 2019 CoreLogic, Inc. All rights reserved.